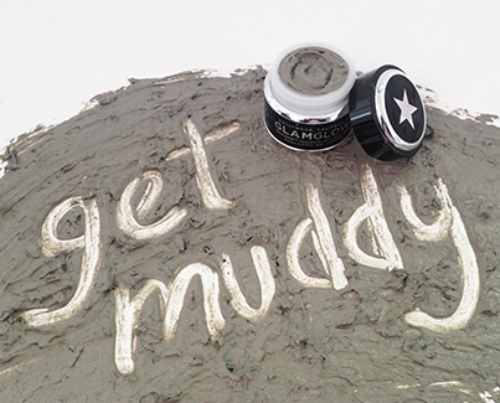 #getmuddy With Glamglow for National Mud Pack Day! Did you know there is a national Mud Pack Day? Well neither did I but when I received an email from GLAMGLOW informing me of the day and the offers they have on I knew I had to let all of you know that GLAMGLOW are celebrating their love of mud packs and want you to celebrate with them too! National Mud Pack Day is September 30th but GLAMGLOW want YOU to join in on the fun in the build up to the day. They're running 'mud-selfies' from now until the 30th over on their Twitter, Facebook and Instagram accounts and want you to send in your best mud pack selfies! The prize is to win a years supply of GLAMGLOW products which is worth over £250! Now I know a lot of my readers love a good mud face pack, and love a good selfie so I thought this would be right up your street! I myself am yet to try any GLAMGLOW face masks yet, I have been umming and ahhing over whether to just go for it and place an order or not, I've seen nothing but amazing reviews on each and every one of their masks, but I just haven't been able to decide what one to order. Then I'm informed that they sell a GLAMGLOW DISCOVERY Try Before You Buy, which contains samples of all of their mud masks for £17. They also sell various other Try Before You Buy Collections starting from £13, which for me, someone who hasn't been able to decide what mud mask to buy is ideal, and I've just this second placed an order! If you do decide to join in with the fun and post a 'mud-selfie' make sure you use the hashtag #getmuddy to make yourself eligible to win the years supply of GLAMGLOW products! My dear friend Sian has recently posted a review on the GLAMGLOW SUPERMUD So I encourage you to go have a read, as Sian's had me sold! Have used any of the GLAMGLOW mud masks yet? What one would you recommend?